A highly versatile cold forming process, thread rolling can be done on any type of ductile metal to harden, strengthen, or change the material’s physical properties in other ways. Thread rolling makes use of hardened steel cylindrical dies to shape materials; the dies, imprinted with the thread profile, penetrate the work metal at ultra-high pressures in order to displace and mold it into a mirror-image thread. Unlike traditional cutting and grinding methods, no metal is lost or cut away during the thread rolling process; it is simply reshaped. The fastest, most economical method for producing highly accurate threads, thread rolling allows for higher repeatability, stronger threads, and better finish quality and mechanical properties than grinding, cutting, or chasing. Rolling stock has a smaller diameter than full-sized cutting stock, so no material is left over after the process, limiting waste and shortening cleanup times. Plus, because high quantities can be produced per roll, tooling costs per thread are much lower than those of other manufacturing methods; rolled surface feeds per minute are up to 10 times faster than cutting, resulting in reduced labor requirements as well as lower costs. Not only does this benefit manufacturers’ bottom lines, it also allows for faster lead times for clients. Thread rolling improves metal tensile strength by 30% or more compared to traditional cutting methods, and, due to the hardening phenomenon the material undergoes during the rolling process, increases fatigue strength by 50-75%. The geometry of the roller dies allows for a highly accurate thread form, and the intense pressure applied allows for a much smoother surface than those of cut threads. An inherently fast process, thread rolling is generally the fastest segment in your production cycle. Simple yet highly efficient, thread rolling is ideal for industries requiring high-tensile, safety-critical components such as the aerospace sector; many fields, in fact, mandate the use of thread rolling to ensure optimal part performance and longevity. Below are some key considerations to keep in mind before beginning any thread rolling project. When determining the best material for a specific application, a few key factors should be kept in mind; working with the correct material will ensure the overall success of the rolling process. The softer the material, the easier it is to roll threads; harder materials, on the other hand, result in a shorter die life. The faster the machining speeds and feeds, the lower the quality of the finish. Sulfur and lead, for instance, allow for high speeds but can compromise the quality of the finish. Other materials, like stainless steel, allow for an excellent thread finish but are harder to roll and result in a compromised tool life. Working with steel, bismuth, aluminum, or sulfur will produce flakes and slivers. Sulfur, lead, and bismuth facilitate the rolling process but can compromise the thread finish. The material formability index shows hardness, thread finish, and die life for various materials, and should be referenced during the selection process. When cutting a thread, major diameter equals the blank diameter of the threads. When thread rolling, the material below the pitch diameter is displaced during cold forming, and excess material is squeezed up into the new major diameter. 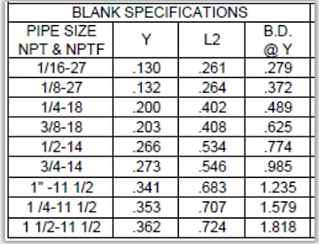 To determine blank diameter properties, the following ratio applies when rolling close to the major diameter: For every .001 inch that the blank diameter is adjusted, the thread major diameter will be altered by .003 inch. Specific roll styles will offer different benefits depending on the application and part requirements at hand. Styles should be determined based on the part orientation to the collet. Some rolls, for instance, offer reversibility when part thread length is less than or equal to half of roll workface. Reversing roll will allow rolls to produce two times the parts. Part prints should be carefully analyzed by a knowledgeable partner to ensure the correct style is used. Coatings and finishes can significantly affect part performance as well. Heat treating, for instance, can offer either increased hardness or increased toughness, which will offer a longer roll life. Various coatings — though slightly more expensive upfront — can also provide a longer die life, as well as optimal lubricity during the rolling process. Allowing for easy, repeatable adjustments, shave tools ensure smooth action and high-quality construction while reducing chatter on workpieces. Shave tool holders allow for a wide capacity range, meaning they can shave a large range for a given machine, and provide workface flexibility. Additionally, various bracket configurations can be used to provide necessary support during shaving processes. Shave tools are capable of making roll adjustments, as well as lift adjustments, which increase or decrease the amount of lift on the head. 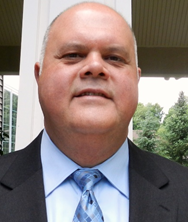 Taper adjustments can also be made, which help to eliminate taper in a part. Finally, working with proper tooling attachments ensures optimal part quality. Various options are available, including radial pinch, axial end rolling, tangential, and axial-rotary transfer attachments, each of which offers unique benefits for specific applications. A knowledgeable partner will be able to offer guidance on the best attachment for a specific project. Securing an accurate gauging setup allows for a better-quality, more efficient thread rolling process. Various setups are available, including go/no-go ring gauges, micrometers and pitch micrometers, tri-rolls (Johnson gauges), functional segments, pitch diameters, pipe threads, six-step gauges, and 1L and 2L ring gauges. The thread should be rolled until the pitch diameter is within specification, between pitch diameter maximum and pitch diameter minimum. Likewise, the blank diameter should be adjusted until the major diameter is within specification, between major diameter maximum and major diameter minimum. Both major and blank diameter can be measured using micrometers or comparators, while pitch diameter can be measured over pins or using pitch micrometers. The thread should be rolled until pitch diameter gauges are within the L1 and L2 specifications seen above, and blank diameters can be adjusted as needed using NPTF 6-step ring gauges to verify major diameter. NPT L1 rings, meanwhile, are used to inspect the hand tight engagement or functional size of pipe threads. Typically, parts should be flush to the end of the ring +/- one turn. NPTF L1 rings serve a similar purpose as NPT L1 rings, but thread tolerances are tighter, so an L2 ring gauge is also required. NPFT L2 rings are used to inspect wrench engagement threads, and are used in tandem with NPTF L1 rings. As with NPT L1 rings, tolerances are tighter, so both an L2 thick ring gauge and an L1 ring are needed. Finally, with NPTF 6 step ring gages, as touched upon earlier, check external threaded parts, including profile or crest truncation. These are used with L1 and L2 rings. Thread rolling processes are prone to several common issues, all of which can be prevented with a prior understanding of potential problems and how to best remedy them. Below are three of the most prevalent issues and basic steps for solving them. Are the rolls are in match? If not, resynchronize them. Are rolls’ centerlines parallel to the work centerline? Check on slide alignment to ensure lines are parallel. Is the cross slide adapter worn or loose? Inspect the springs and slide gib and, if applicable, tighten the adapter. Are the rolls overfilled? If so, the blank diameter should be reduced. Does the blank have a rough finish? If it does, tooling should be reground. Is the stock seamy? These are ill-suited to thread rolling. Are rolls slipping? If so, the feed rate is likely too slow, so penetration rate should be increased. Are you working with the right type of material? Working with the wrong material for a specific application can result in slivers and flakes, so check with your material supplier and explore other options. Pitch issues may also arise if the thread rolled on the part has an increased pitch, causing gauging problems. In this case, modified lead (ML) rolls should be used. Pitch and lead should be measured and adjusted as needed to compensate for the part’s stretch. When ordering ML rolls, suppliers should be able to analyze sample parts that have already been rolled to confirm the nature of the error and ensure proper subsequent roll design. Roll outer diameter (O.D.) is touching the blank diameter, this means the roll helix angle is larger than the helix at the blank diameter, and the roll will push away from the collet. Roll inner diameter (I.D.) is halfway between the blank diameter and the minor diameter, this means the helix on the part and the roll will match. Roll I.D. is at a minor diameter of the part, this means the roll helix is smaller than the part, and screw jacking will occur. Other common issues include different rolling conditions; hollow-work, closed-hole, and out-of-round conditions; threads filled out in the center but not the end; poor finishes; poor thread forms; crests that are not filled out; and scuffed crests. Allowing for faster leads, higher-quality threads, and lower overall costs than thread cutting, thread rolling methods have become the go-to choice for a wide range of industries, from automotive and aerospace to plumbing and fastening. Before beginning on a thread rolling process, it’s critical to take stock of important material, design, tooling, and gauging considerations, and develop a full understanding of potential issues and their various causes to ensure problems are addressed quickly before causing serious delays or extra expenditures. 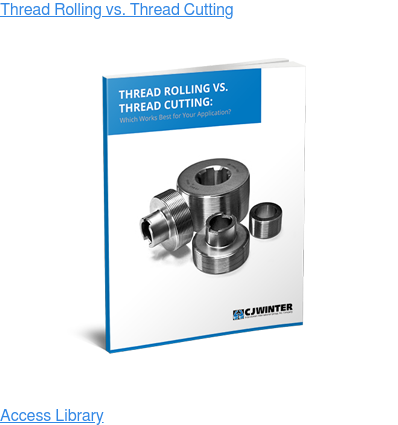 To learn more about thread rolling and its advantages over thread cutting, download C.J. 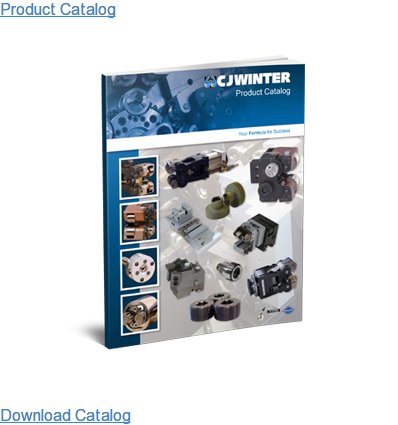 Winter’s free eBook, “Thread Rolling Vs. Thread Cutting,” or reach out to the team today to discuss your specific needs with an expert.